Jenny Watches added a new and great looking 1960’s style rice-bead bracelet to the legendary Caribbean 300. Now you probably wonder who/what Jenny Watches is, and we totally understand that. 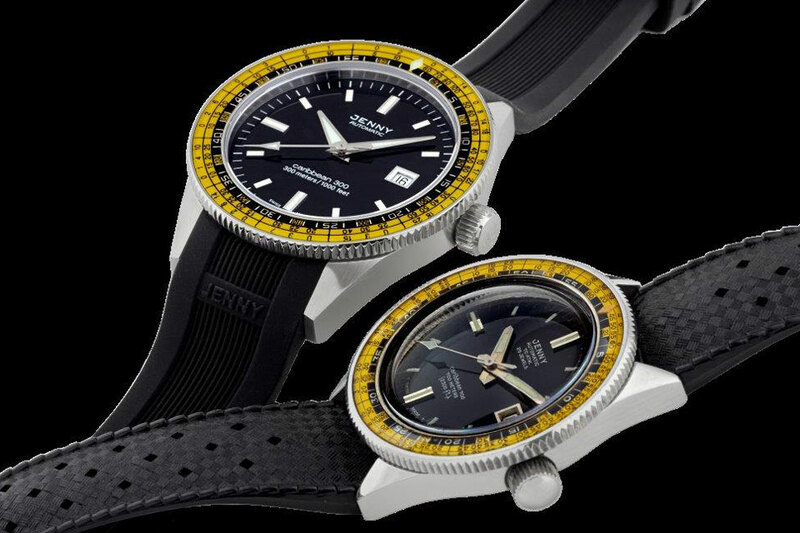 Back in 1963, Jenny & Cie S.A. introduced their first line of dive watches, the Jenny Caribbean. 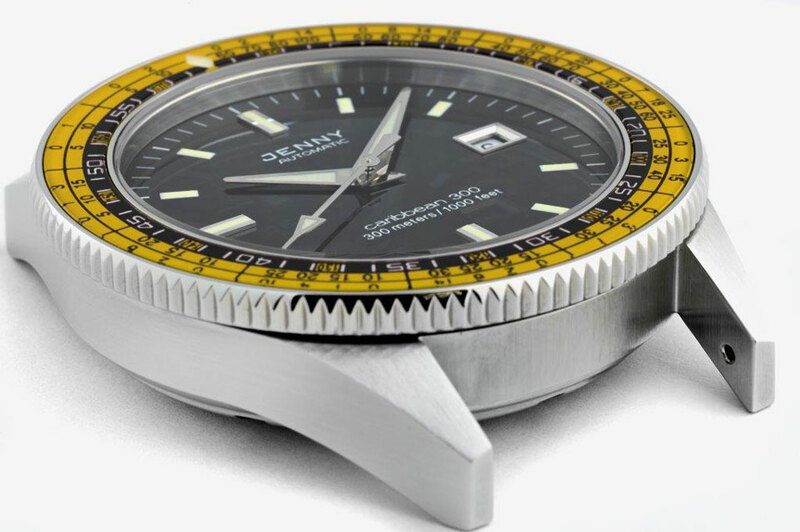 It was the world’s first dive watch resistant to a depth of 1,000 meters! In 2012 the brand re-launched and they just added a really nice bracelet to that legendary dive watch. And it gets better, because until December 31st of this year, they are available for just $990 USD. 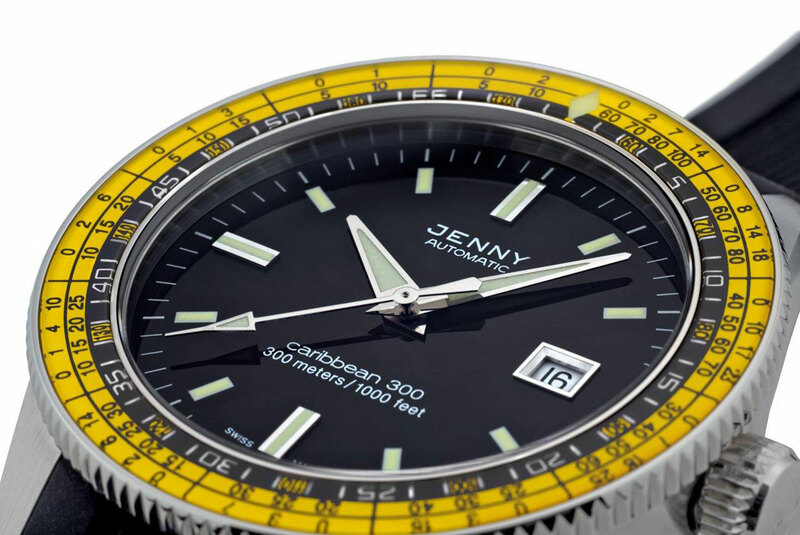 Dive watch aficionados and collectors of vintage dive watches, have probably heard about the Jenny Caribbean 1000, and it’s record-setting depth rating. 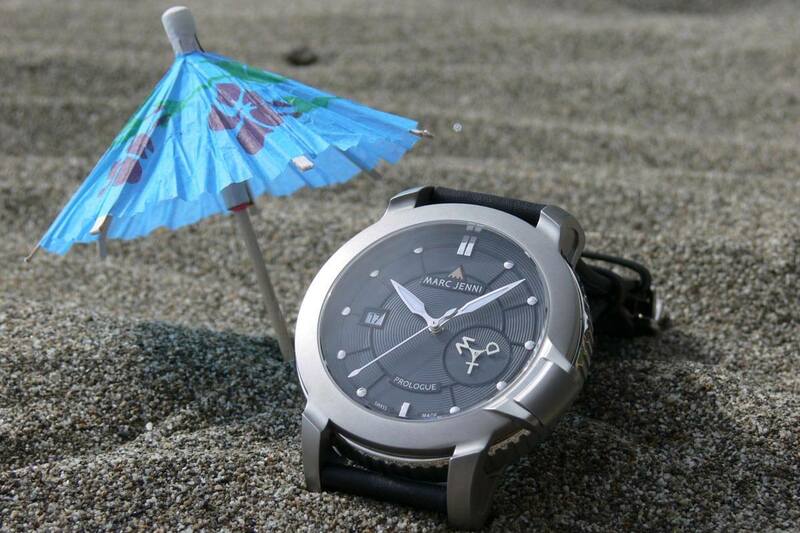 This world’s first wrist watch that could submerge to 1,000 meters, was patented in Switzerland under Brev. 5292/68 triple safe. This patented watch case system was called “MONOBLOC” Caribbean Triple safe, which actually means it’s a one-piece case construction. 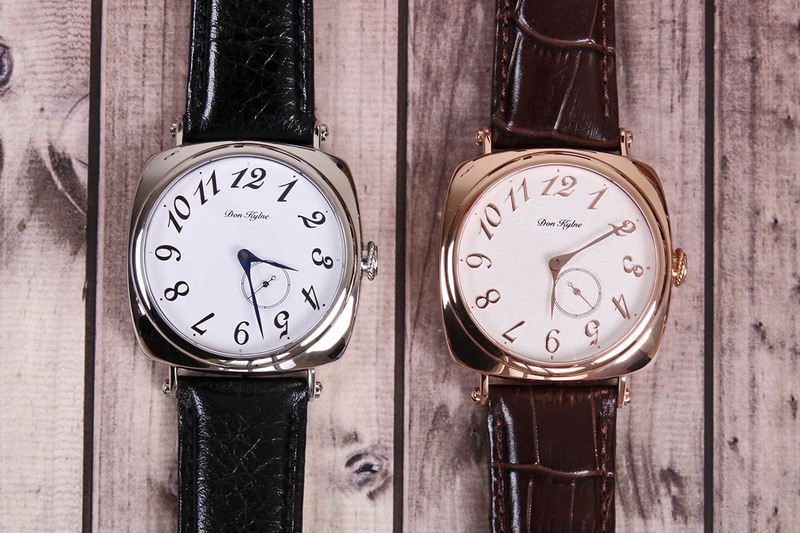 This rather unknown watch company does have quite an impressive track record, and you can find their watches under many other, often very well-known, names. In 1969 Paul G. Jenny and his brothers Hans and Werner applied to patent a decompression bezel (US Patent no.3,613,354.) The Caribbean is equipped with a patented stainless steel unidirectional rotating diver’s bezel, displaying decompression limit times that can be clearly read through a sapphire crystal bezel insert. This prevents the bezel from fading, which is a serious threat for any dive watch, with salty sea water and lots of sun shine. 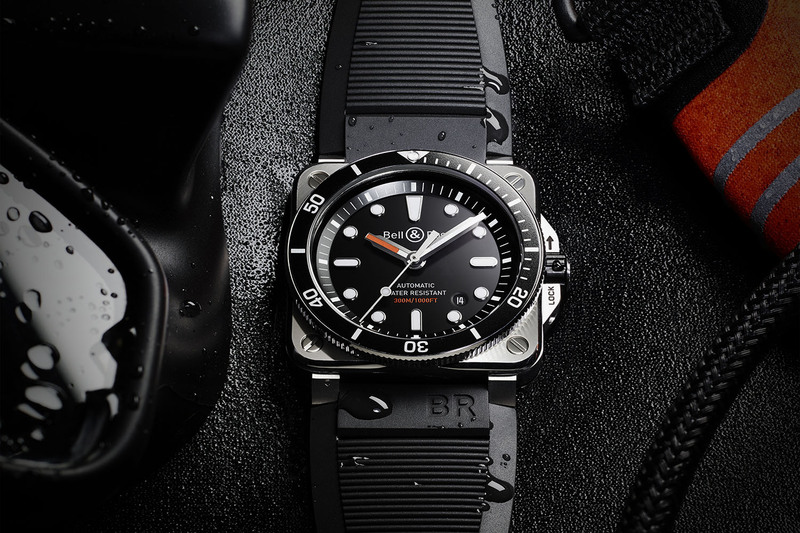 According to the ISO 6425 standards for diving watches (introduced in 1996 – link to Wikipedia), a dive watch should be equipped with a unidirectional bezel with at least at every 5 minutes elapsed minute markings and a pre-select marker to mark a specific minute marking. The Caribbean’s decompression bezel also features such 5-minute markers, however these are not so easy to distinguish between all other numerals on the bezel. We already mentioned that Jenny & Cie did a lot of work for other companies, like supplying dive watches and doing the watch design and constructions. 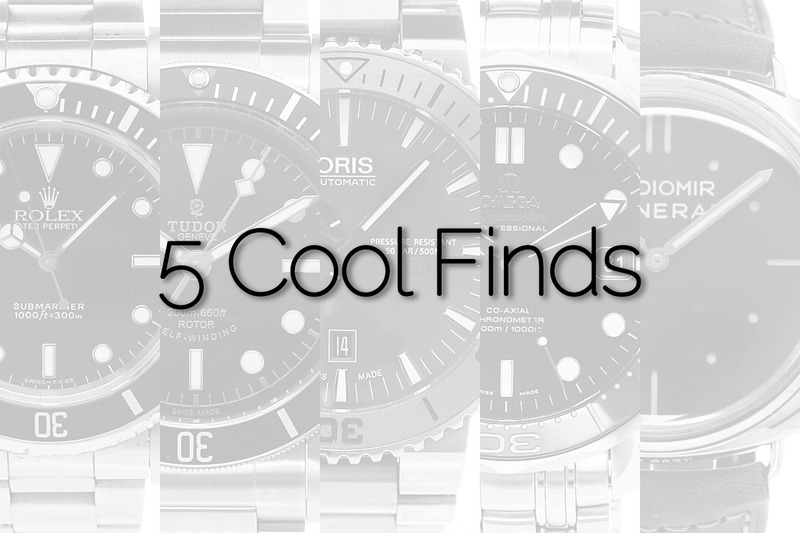 Some of these companies do not exist any more, and these brand names will probably only sound familiar for collectors of vintage dive watches. However some of the brands are still in business. Think of names like Philip Watch, Dugena, Haste de Luxe, Eisenhardt, Jacques Monnat, Jaquet Droz, Aquadive, Fortis, Ollech & Wajs, and many more. 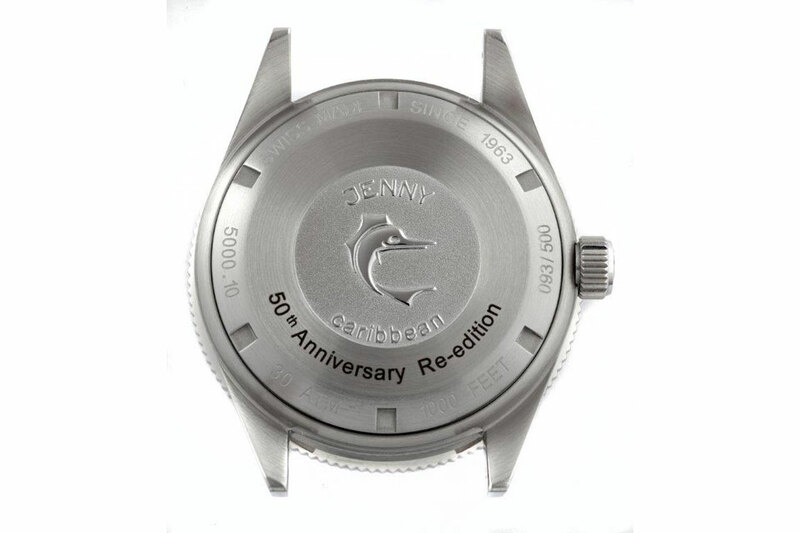 For 3 decades Jenny & Cie S.A. supplied many Swiss, German, Italian and American watch brands with their well engineered watches and watch cases, bearing the Jenny fish logo on the case back and crown. 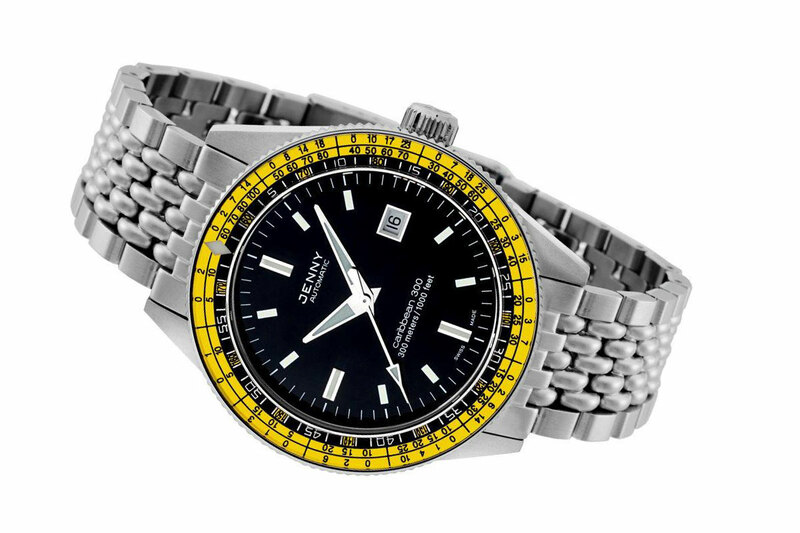 Jenny Watches is among the very few Swiss watch brands that are independent and still family owned. Members of the family who witnessed the early days of Jenny & Cie S.A. have actively contributed to the re-launch of the brand in 2012. The re-launched Caribbean 300 is a faithful re-edition in almost every detail, however there are a few “technical updates” such as the sapphire bezel inlay, however the depth rating is 300 meters and no 1000 meters as its predecessor. 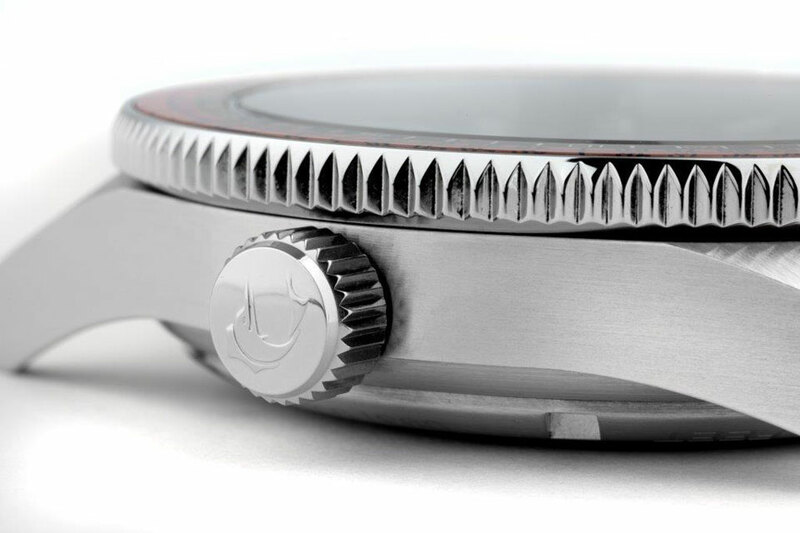 The satin brushed, solid 316L stainless steel case measures 42mm in diameter (excluding crown) and is (just) 12.3mm thick. Inside ticks a high-grade ETA 2824-2 self-winding movement with a custom ‘Jenny’ engraved rotor. This über-reliable movement features a hacking second function, a quick-set date function and a power-reserve of 42 hours. 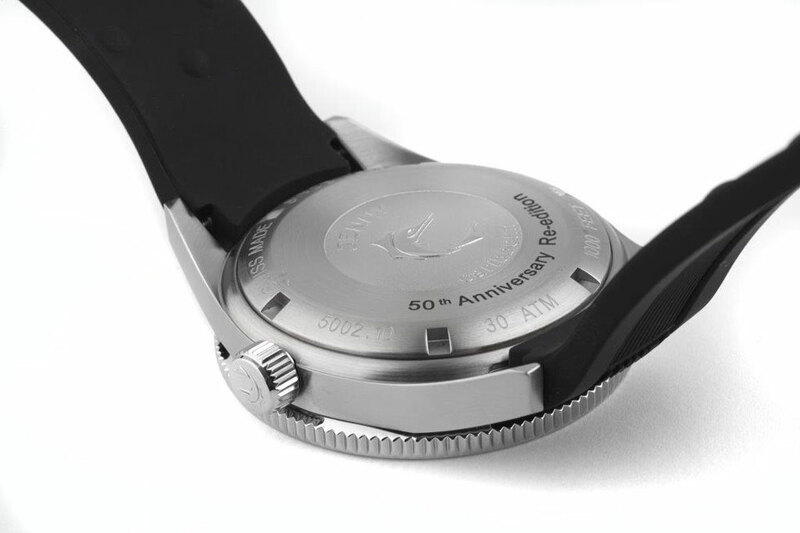 The flat sapphire crystal comes with an anti-reflective coating, the steel screw-down crown has the Jenny fish logo embossed, and so does the solid stainless steel case-back that has also been engraved with its unique Limited Edition number. The Caribbean 300 is available as a limited edition of 500 pieces in each colour variant. 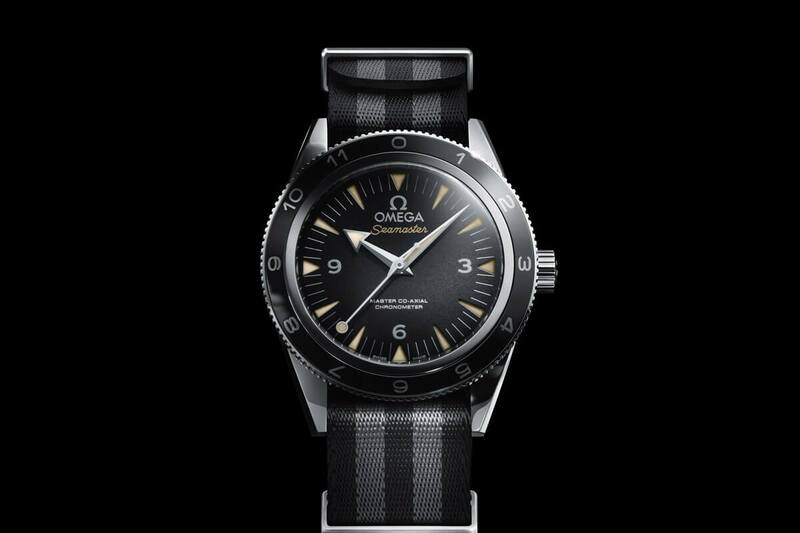 The colour variants are exactly the same as the old Caribbean 1000 – black, blue, orange or silver with an orange bezel, or black with a yellow bezel – and they now also feature a similar bracelet. 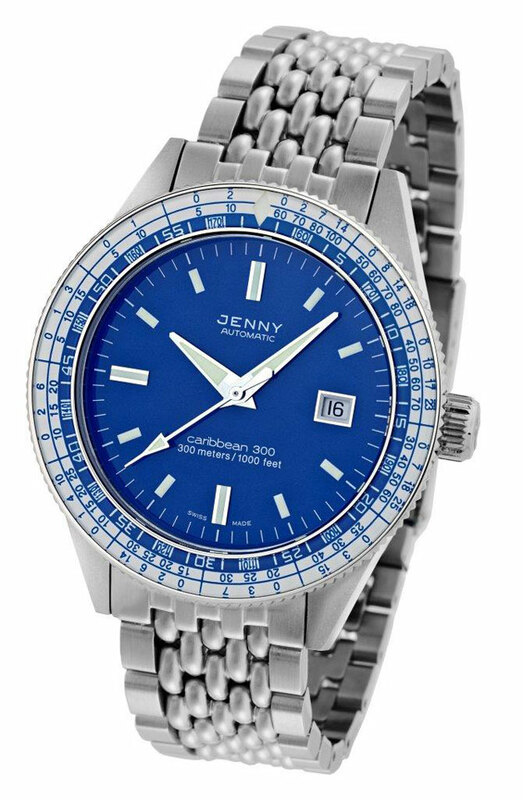 The Caribbean 300 also comes with a Jenny rubber divers strap with a signed stainless steel buckle, and is (until December 31st 2014) available for $ 990 USD direct from Jenny watches.